As before any workout, before stretching you need to warm up, so as not to strain muscles and damage joints. It is important to warm up muscles and prepare them for exercise. Thus, you not only eliminate the likelihood of injury, but also improve the results and effectiveness of your training. Jogging for 7 minutes. It needs to be at a moderate pace and needed to warm up the muscles. Jogging should not be heavy and painful, because it is only necessary for training of all muscle groups. Wrinkle 1. Sit on the floor, nice and wide apart legs to drag one foot ahead of the other foot. Do 15 bends to each side, then down the right leg, hold for 10 seconds, then to the left, and then in the middle. Wrinkle 2. Sit on the floor, keep feet together, reach hands towards your toes, make 20 tilts, then descend as low as possible and hold for 10 seconds. Provided. Make a lunge, the knee of the back leg down to the floor, then pull the foot towards the buttocks, do the same with the other leg. Butterfly. Sit on the floor, connect the foot, tighten them as close as possible to yourself now bend the knees down, if your knees are on the floor, then stretch the body forward. Gun. 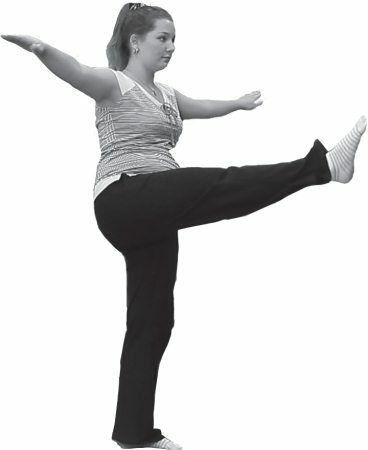 Sit on the floor, legs pull forward, one leg get back, reach as low as possible to the toe, change the leg, do the same. Mahi. Pull a leg, do 10 swings forward one leg, then the other. Max needs to be sharp, the back straight, arms extended to the sides. The preparatory stage is completed, we can proceed directly to the streamer. If you feel enough stretch, make a few more calls or complete other exercises. If your goal is to do the splits, workout need to be sure. To warm up the muscles, after running, you can jump rope for about 3 minutes. If your goal is to do the splits, workout need to be sure.